Instagram is such an engaging way to share all the photos from our amazing, creative clients that have taken our unique collection of entertaining and home decor pieces created by Opulent Treasures and brought them to life with LOVE! Sharing the love on Instagram can be a bit overwhelming at first, finding your audience takes time and patience. Understanding the power of hashtags is another Instagram feature to consider. Your hashtags should fit the content that you're publishing and should contain keywords that your audience is actually searching for. Creating a hashtag for your brand allows your audience to share your brand love! Our #opulenttreasures is going strong at 3,531 posts! 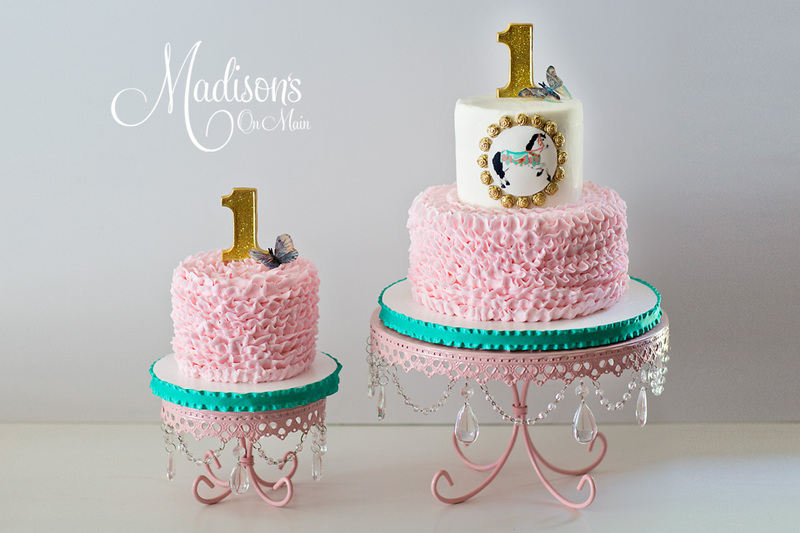 Adorable pink ruffled first birthday cake and matching smash cake by @madisonsonmaincakes on our Opulent Treasures Pink Chandelier Loopy Cake Plates. Instagram is the perfect place to find Wedding Vendors .. If you’re ready to grow your Instagram … read here! Instagram has never been more useful for growing your brand or business. The way to do that is to find successful strategies to get more followers on Instagram. That’s what this ultimate guide is all about! We have been so fortunate to connect with so many creatives on Instagram! From Event Planners, Cake Designers, Photographers and Florist to artists just starting out in their creative process! Follow us @opulenttreasures so we can all share the LOVE! Join the Instagram party and share the love! Start by clicking here to get all the success tools you’ll need!